Tickets include dinner & show. Be sure to email your menu selection and reservation time 7:00pm OR 8:00pm!! Austin's Hora Once feat. 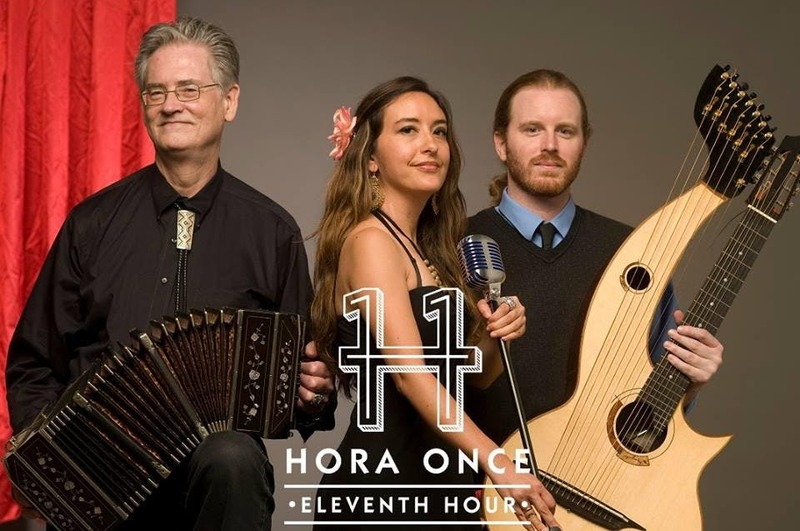 Colombian singer Ana Baraja with Mike Maddux on accodian/bandeon and Adam Carney harp guitar is joined by NorteSur, a duet project feat. Bolivian musician Eduardo Cassapia voice, oboe and Rachel Brown; harp. These ensembles bring a special project of South American music to Carmen's global stage. NorteSur will perform instrumental South American and Andean music. The ensembles will perform separtely and together for this special Valentine's Day evening.